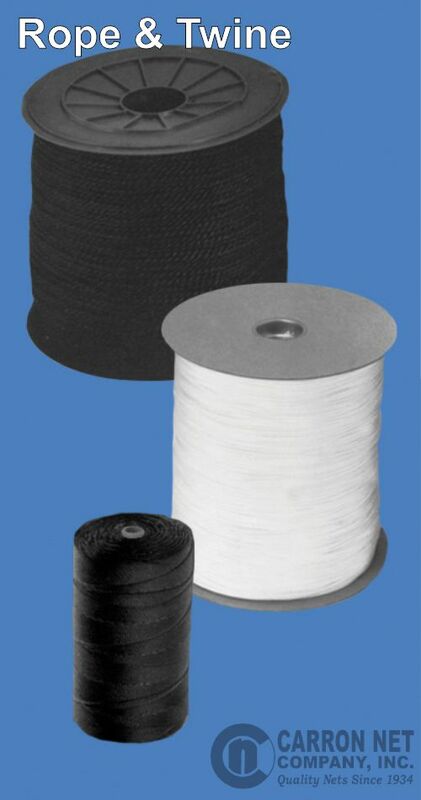 Nylon Stringline: Popular for in construction use. Two weights of material available. 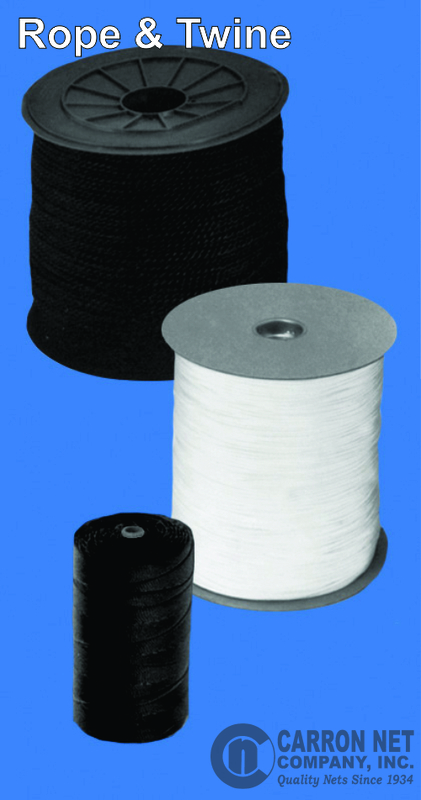 Polypropylene Rope: Available in black and white in multiple diameters. Sold in cut lengths or full spools. Nylon Seine Twine: One pound tubes of our durable seine twine. © 2019 Carron Net Company, Inc.